Action & Adventure in Hawaii! “Couldn't put it down,” was the comment added by the first Amazon reviewer. Prologue: In 1893, a diplomat of the United States and 162 US Marines helped overthrow the government of the Hawaiian Kingdom. Five years later, an act of Congress unilaterally annexed the islands. At the time, President Grover Cleveland admitted mistakes were made, and tried to restore the Hawaiian Monarchy to Queen Lili'uokalani. Sadly, he was unsuccessful. A hundred years later, President Bill Clinton formally apologized for the actions of the United States. Yet today, Hawaiian pleas for justice are still unresolved. Now, two genetic engineers have found a way to force the United States to give back the islands, and they've given notice that all non-Hawaiians must get out or die. 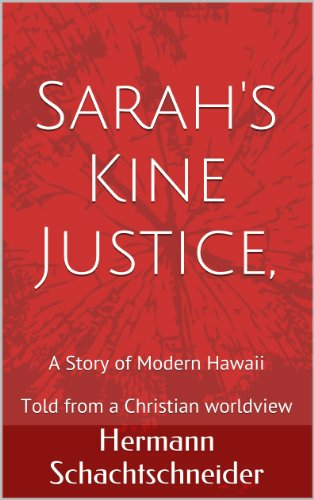 Sarah Kiley is one of a few thousand pure-blooded Hawaiians who stand to inherit Hawaii under the scientists' plan. While investigating the murder of a friend, she finds herself a key player on the inter-agency task force that's trying to stop them. Given the opportunity to change the history of her people and return their stolen sovereignty, she must decide which side will win. Told from a Christian worldview! This story is told from a Christian worldview. The main protagonists are not morally perfect, but they are practicing Christians. They pray, and they find strength in their relationships with their Creator and Savior. The author has taken care to not include expletives, blasphemous language or the sorts of story events and elements that he finds morally offensive in many popular thrillers and mysteries. The result is a first class thriller that you can recommend unequivocally to any Christian book lover. Click the “Buy Now” button to add this ebook to your cart, and discover the uplifting pleasure of reading a thriller purposely written from a Christian worldview. Aloha and Peace be with you.